Wegmans Archives | Happy Deal - Happy Day! These are the most current Wegmans deals you will find nation-wide. The top 10 deals are listed first, with an option to click on a full list. Come back each week for an updated Wegmans deals list! Unadvertised and Exclusive Wegmans deals found here!!! Wegmans Coupons & Deals Week of April 14th | $0.19 Greek Yogurt, $0.99 Baby Wipes & More! Here are my favorite Wegmans coupons and deals I found from doubling coupons, and some on-going deals that I’ve posted before that are still available. 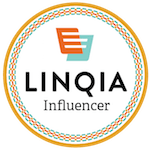 **The prices I post are from my local store in Geneseo, NY, where coupons up to $.99 are doubled **You can price check online before your shopping trip if you’d like over here. Also, check out the NY Wegmans coupon policy online. It states that you can stack Wegmans Coupons with manufacture coupons! But no “free” items from internet coupons, including any buy one get one coupons. 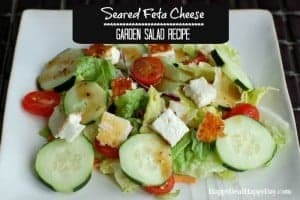 I create this list using newspaper inserts and coupons.com. Wegmans doesn’t put out a weekly flyer with Shopper’s club sales that I can match with coupons. So I go through the newspaper insert list and coupons.com and find the best coupons for doubling at Wegmans. If there is a Shopper’s Club deal on top of that, then awesome! But I do not list all of the Shopper’s Club deals on this page. There are also money saving apps like Ibotta (cash back program – use referral code nettpg when you sign up!) and Checkout 51 that I’ll add their rebates to this list, but I’ll be honest in that I don’t always check the apps each week. **NOTE: The Favado App which I have worked for for the last 4 years recently stopped their blogger data contributer program, so I am no longer able to use their platform to create my weekly list. Bear with me for a few weeks as I get the best and most up-to-date Wegmans deals for you in a uniform format! See any deal that you think should be on this list that I missed? Be sure to leave a comment and I’ll add it! Come back each Sunday and you will find an updated list! Or if you want this list e-mailed to you every Wednesday as part of my weekly newsletter – fill out the form below to get this list in your inbox! See all Wegmans coupons and deals that are posted thoughout the week over here! I have a new Wegmans Coupons and Deals Facebook Group where we can chat about everything Wegmans! REQUEST TO JOIN HERE! 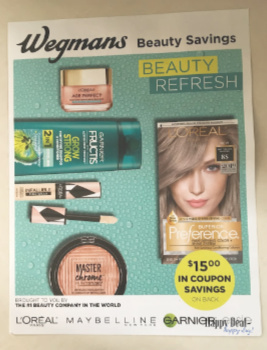 Wegmans Spring Booklet Coupons – 10 New Wegmans Store Coupons! Wegmans Digital Coupons: 10 New Coupons on Their App! 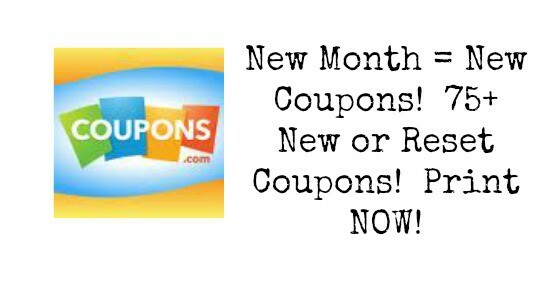 New Month = New Coupons! Huge Number of New or Reset Coupons! Print NOW! 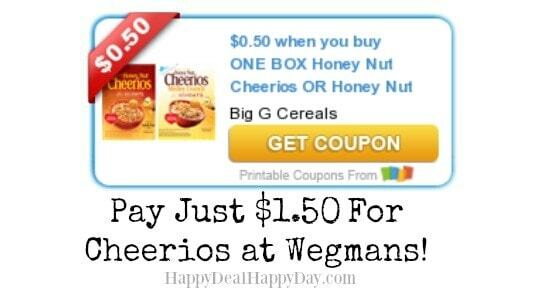 Honey Nut Cheerios for $1.50 at Wegmans with NEW $0.50/1 Coupon! 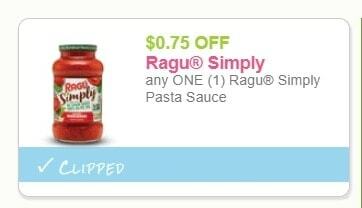 Ragu Simply Pasta Sauce for Just $0.39 at Wegmans! HOT! FREE Oikos Yogurt at Wegmans! 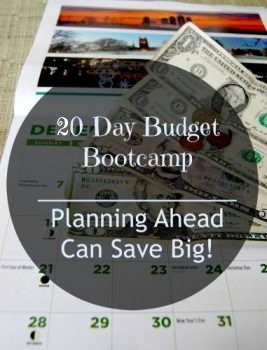 20 Day Budget Challenge: Planning Ahead Can Save Big! $0.94 Hershey’s Gold King Size Candy Bars with Doubled Coupon!